Four Cheese Wedges filled with spicy Jalapeno slices, served with sour cream & chive dip. Calories: 214 kcal (dip is 70 kcal). 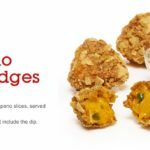 Great Tastes of the World is currently running at McDonald’s again in a slightly different format to previous years, and the brand new side for this promotion are the Spicy Nacho Cheese Wedges. 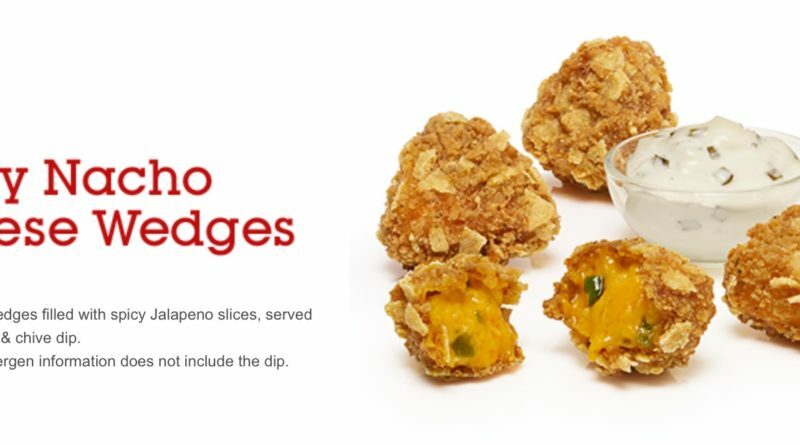 When I first heard of these prior to release, I imagined them to be potato wedges with a nacho cheese coating or something but then I learned they were in fact wedges of cheese – the names a bit of a giveaway BL®. 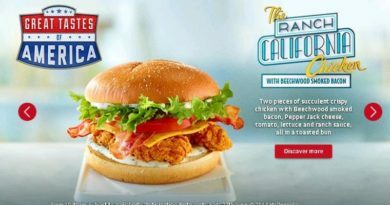 I toyed with the idea of reviewing them as they’re not a burger but I was curious about how they would taste. And at a very reasonable £1.69 for four pieces plus the sour cream & chive dip, I thought I’d check them out. McDonald’s do love giving us cheese sides don’t they? What have we had now from the Golden Arches? 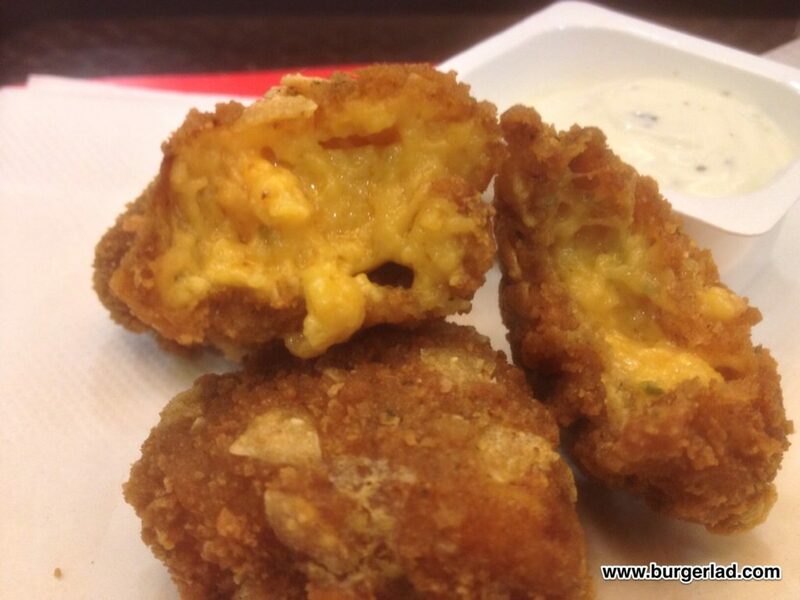 Cheese Melt Dippers, Cheddar Cheese Dippers, Mozzarella Dippers – excuse me if I have missed any. It’s not something I normally participate in, but on the odd occasion Miss Milkshake lets me try one I do always like the marinara-type sauce that accompanies them. Visually they look good and a bit different and certainly have a nacho-inspired appearance to them. They are smaller than I imagined but at the fairly respectable price, tempt you to try something new. I can see these working well with The Mexican Stack. Inside the crispy nacho-esque exterior is a pleasant melted core of nacho cheese which is interspersed with the occasional fleck of jalapeño. To look at, there doesn’t appear to be loads housed within but it’s in the tasting where you know they are there. Don’t expect fiery mouthfuls. The Spicy Nacho Cheese Wedges just offer a tasty tickle of spice which combines nicely with the grilled cheese texture of the nacho cheese. And this is pretty impressive too! I’ve had nacho cheese and nacho cheese sauces before and some I find a bit sickly. 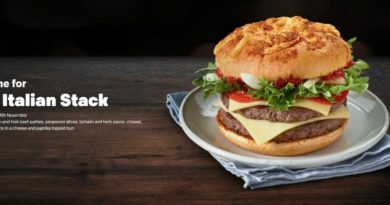 This isn’t the case here and helps contribute to an impressive and good side from McDonald’s. 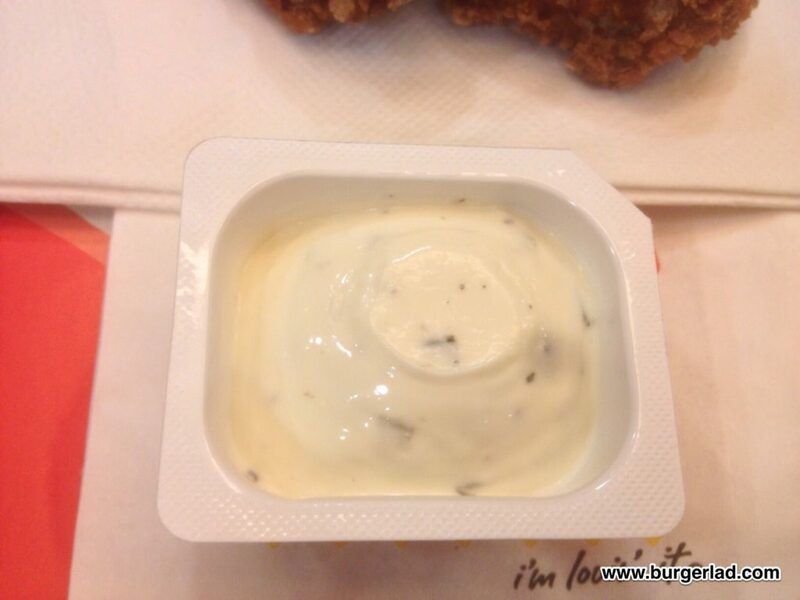 I’m also not much of a fan of sour cream in any format so I was indifferent about the sauce before I tried it. 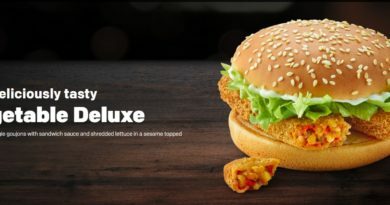 This one is quite creamy but what makes it appealing is the addition of chives which gives the sauce just the faintest of mild onion flavouring. Again pretty decent and the wedges worked well dipped in it, but sometimes I wonder why you have something spicy but a neutral dip to cool it back down. What I did find is that there was loads of sauce leftover so unless you drench every wedge in the dip (I found two bites was enough to finish one) there will be a significant amount of sour cream & chive wastage. 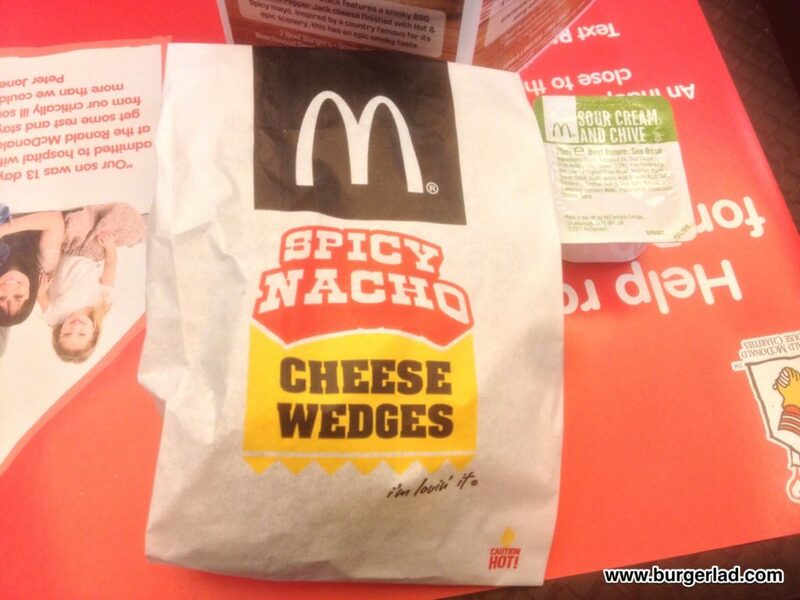 Overall, the Spicy Nacho Cheese Wedges are a tasty, slightly spicy and different new premium promo side at McDonald’s which a) I was glad to have tried and b) can recommend. 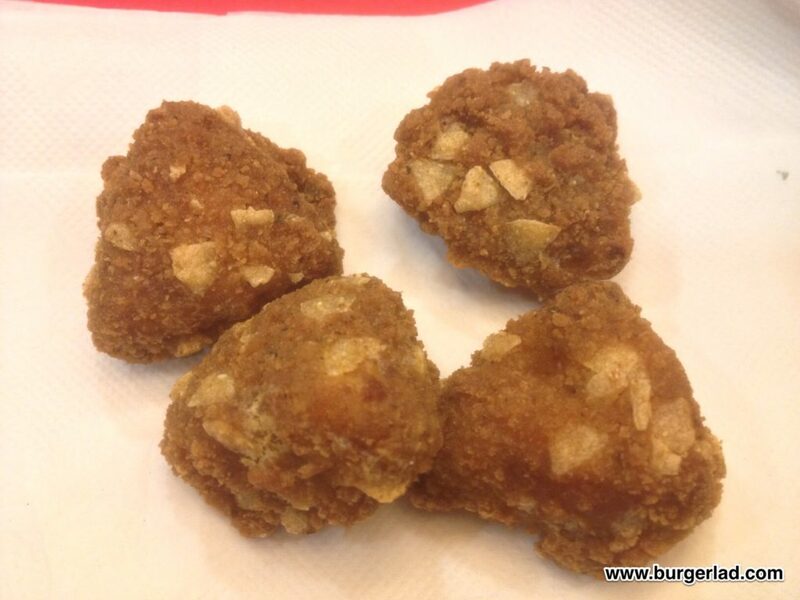 Don’t expect a big portion – these are designed to be a tasty little snack on the side. Also, if you are expecting super spicy don’t get your hopes up. The melted nacho cheese with the flecks of jalapeño provides a cheesy tasting, slightly spicy bite.